If you’re looking forward to indulging your sweet tooth this Easter why not take things to the next level with these incredible Creme Egg and Ferrero Rocher cheesecakes. 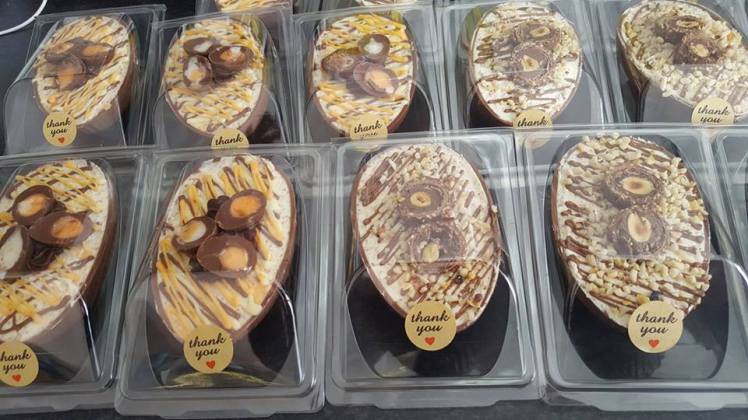 The Cottage Coffee Shop & Lunch Bar in Rhondda, Wales, is offering hungry customers chocolate eggs filled with Creme Egg and Ferrero Rocher cheesecakes before garnishing them with chocolatey treats. 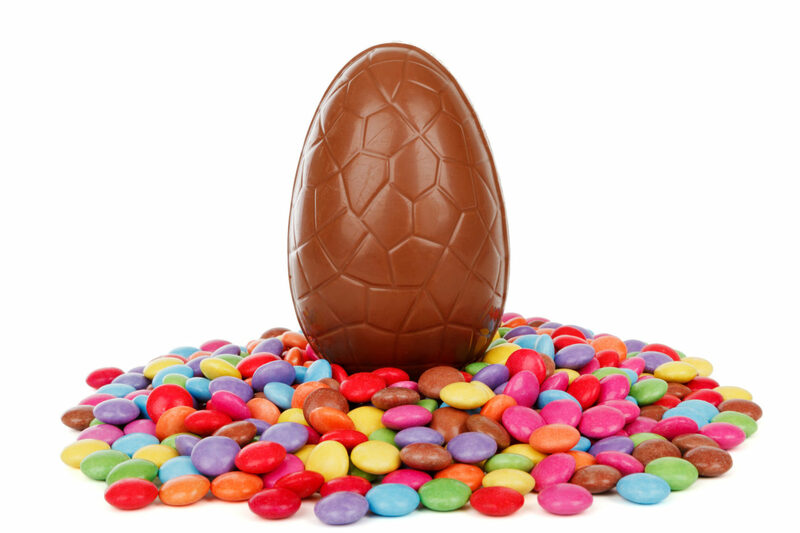 These delicious sweets aren’t even that expensive, coming in at just £3.50 an egg. Or, you can get two for £6 – an impressive price when you consider what you’re getting. As our Easter cheesecakes are so popular, we’ve been experimenting and trying to make them even more delicious! And we’ve come up with Creme Egg cheesecakes – inside an Easter egg, topped with even more Creme Eggs! 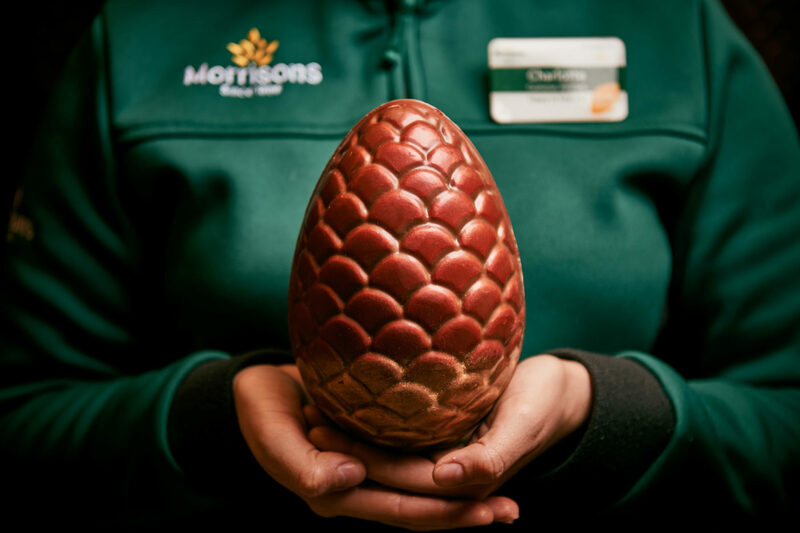 If the cheesecake egg is a bit much, there are other alternatives this Easter, like Morrisons’ Game of Thrones style dragon egg. The egg’s been designed to look like the dragon eggs given to Daenerys Targaryen (the First of Her Name, the Unburnt… etc, etc) in season one. Unfortunately, if you break it open, all you’ll find is more chocolate, no fire-breathing beasties for to be seen. Their ultimate ‘Dragon Egg’ measures at 20 centimetres high, weighs 240 grams and is made from rich Belgian milk chocolate, finished with a dusting of ruby red and gold lustre. The Dragon Eggs are exclusive to Morrisons and even though they’ll cost you less than an actual Dragon’s Egg, you’ll still have to fork out £6 to get your hands on one. If this doesn’t appeal to you though and you fancy a more ‘adult’ theme, then why not try Tesco’s gin and elderflower flavoured Easter eggs. Part of Tesco’s finest range, the hollow chocolate egg is made from Belgian milk and dark chocolate and blended alongside four booze-infused truffles. It’s available now in all good Tesco stores across the UK, as well as online, for £10. For that price, not only are you paying for alcohol-infused chocolate, but also some very nice packaging. You get what you pay for I guess?